Jessica is a sweet gentle little girl. 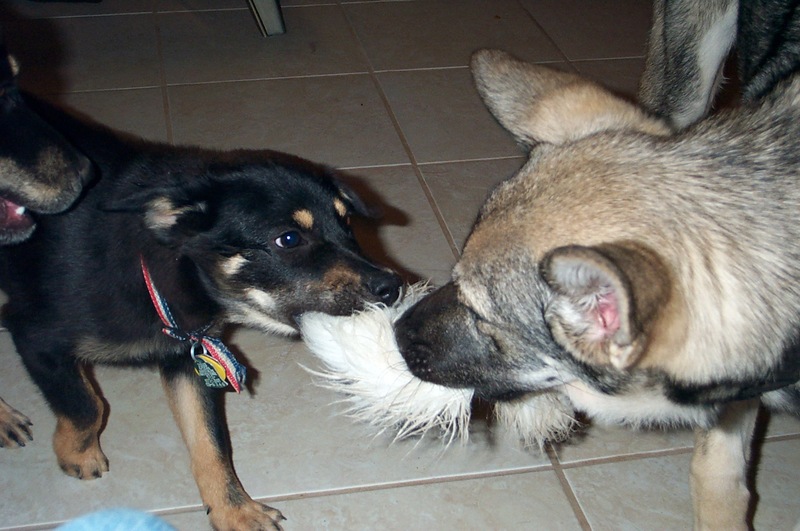 She runs and plays with her buddy Axel and loves toys. She is doing great with her housetraining. No mistakes lately at all. Jess is spayed, current on her shots and micro chipped. She has been wormed and treated with Frontline. When I first picked her up at the shelter she was very scared and timid. With loving care she has blossomed to a confident playful fun loving puppy. She needs a home with people who will continue the confidence building and always give her gentle loving guidance. She is a "soft" sensitive dog who would not do well with anyone who would be overly firm or harsh with her. She responds quickly to voice commands and only needs the word no to stop any behavior not approved. 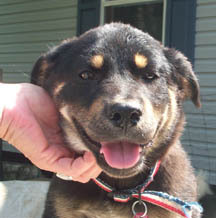 Jessica is a mix and looks like she may have Rottie mix with German Shepherd. She will be a medium sized dog when she grows up. 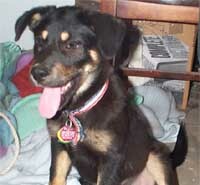 Jessica will be a loyal loving companion for those who appreciate a smart sensitive pup. What a happy little dog! Above, Jessica went to visit another foster family and had lots of fun playing with the other dogs.